Terry McQuinn is a high-powered Los Angeles lawyer who returns to his Maine home after his father dies. He is reunited with Katherine Wentworth, whose family had employed the services of Terry’s father as caretaker and handyman on the Wentworth summer estate for decades. A secret from Terry and Katherine’s past turns out to be the key to their future – and a reminder that it’s never too late to forgive, or fall in love. I’m looking for fallen angel and all it says is “ not playing this week . 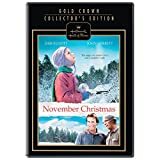 I realize newer movies are coming available but your true core fans that have been watching since countdown to Christmas beginning end of October really look forward to these movies that have special or even sentimental value . We look forward to these movies and every year we’re having to schedule to DVR or having to rent or buy . I have never done this before with replies or etc but there are several movies that I have found very difficult to find or have had to buy . These movies remind us of the meaning of Christmas and take us places or spark a memory . 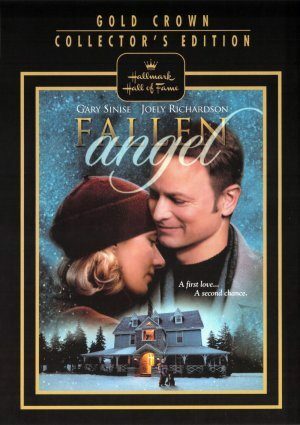 It’s playing at this very moment on Hallmark Movies & Mysteries Channel. Maybe they’ll schedule it again, too……….who knows? So sorry to see that the good movies won’t be playing. The new movies from 2013 and 2014 are cheesy and horrible. So disappointed. Where is Fallen Angel, Silver Bells etc the good ones. What’s the Christmas movie with Debbie Reynolds and Neil Patrick Harris?